Why the 2011 Saab 9-5? So far doing mixed highway and suburban driving, getting about 26-28 on the highway while around 19-22 driving around suburbs. 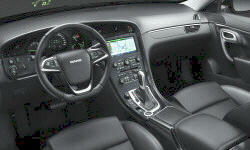 While it is longer than a Cadillac CTS Sedan, it feels much smaller from behind the wheel. Haven driven the CTS before the Sabb 9-5 has a much sportier handling and feel. The 2.0L may seem under power on paper but it delivers more than enough for the car. It can take a second for the turbo to kick in, but once it does the car has no problems passing on highways or getting up to a certain speed on the on-ramps. One of the roomiest back seats of any vehicle. Test drove competitors TL, A4 and 3-series and found that none of their backseat room was anywhere close to the Saab's. Also the truck is extremely large making the car very useful for a growing family. 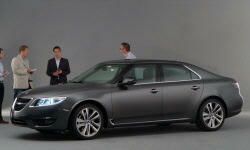 Why Not the 2011 Saab 9-5? With Saab going bankrupt the 9-5 may not have high resale value. Insurance on the other hand has not been a problem and am not paying much more than any other vehicle. With GM destroying whatever brand loyalty Saab had, it is difficult to imagine Saab regaining close to what had before GM.